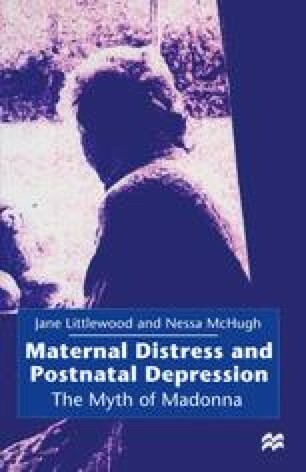 This chapter is concerned with the relationship between events occurring at or around the time of childbirth and maternal distress and depression. The chapter commences with a consideration of the organic model of postnatal depression developed by Dalton. The major components of this model were summarised in 1984. Organic models of psychiatric disturbance hold that all psychiatric conditions are the result of some underlying physical condition. Consequently, the role of progesterone in postpartum blues and postnatal depression will be considered here. The prophylactic use of progesterone will also be considered in this part of the chapter. However, it will be suggested that Dalton’s model fails to take into account the importance of the context in which childbirth takes place. Understanding postpartum emotional disturbance is to remember the mother’s unstable hormonal status... to look at her previous psychiatric history... and to see her private childbirth experience as related to certain obstetrical practices and hospital routines.